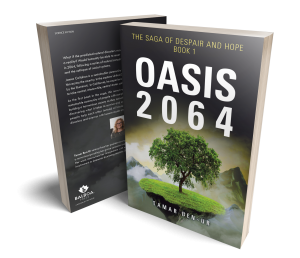 The Texas Book Festival is around the corner, and I will be there selling Oasis 2064 on Colorado River Exhibitor Tent 4 Booth 409. If you happen to be around, please stop by. Festival Hours: Saturday, October 27: 10:00 a.m. to 5:00 p.m. Sunday, October 28: 11:00 a.m. to 5:00 p.m.